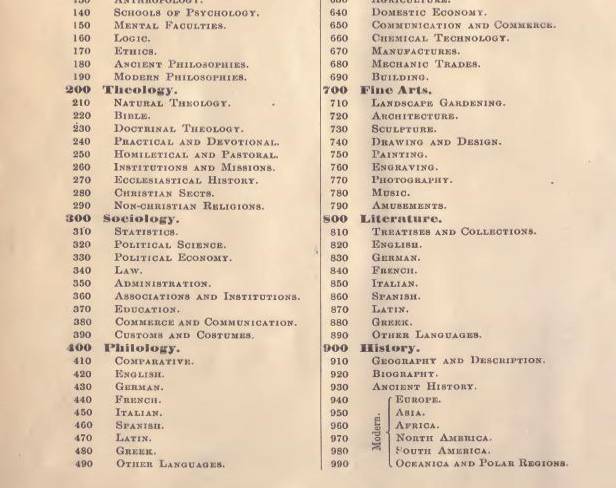 Where did we get the Dewey Decimal System? Home Culture Where did we get the Dewey Decimal System? “In weekly visits to my American public library when I was young, I had a vague idea of how it all worked. A bunch of numbers, and you’ve got to search along the shelves of books until you come across a sudden area with books on Greek mythology, as opposed to the ones on the American pioneers or the Ancient Sumerians. Religion is towards the beginning of the rows of shelves, books about penguins are in the middle, and e.e.cummings’ poetry is at the end. Well, I find it quite curious. Read more about how old knowledge gets adapted to the modern world over at PopAnth!